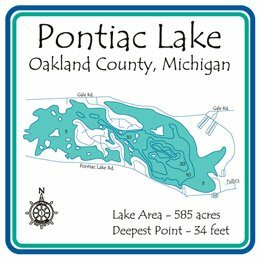 Thursday's hike through Pontiac Lake State Park became an exercise in timing. I learned a lot about comic timing in the past two weeks of being Aunt Abby in Arsenic in Old Lace, but other than that know my personal timing is awful. It's been hot lately -- comparatively speaking since Michigan has been blessed with a beautiful summer. My husky/malamute, however, still expects his exercise. I'm not a morning person, so some of those walks have been by flashlight. I tried for an early walk figuring we'd beat the predicted afternoon heat turning into thunderstorms. WRONG! An hour or 45 minutes was my goal. We were nearing the half hour point when thunder started in the west, but I also saw a sign that said Scenic Overlook. Figured it was nearby and I'm glad I saw it. I'm no photographer and I see nothing online close to what I saw. You can check the trail map to find it. I started on the equestrian trail, but that Scenic Overlook is just off the equestrian routes I usually follow. It's a @#$%! pdf, so I can't post it here, but recommend those trails highly. What a fabulous view of the lake and beyond. The number was 30, 31, or 32, I can't tell from the map and by then I was really ready to start trekking back before the storm came. All the way back I was praying my dog and I would make it back safe and dry to the truck. The trees were talking about the coming storm. They do talk about such things if you listen. The sky became a scary eggshell shade overhead. When the lightning actually started to crack overhead I thought about all those warnings not to be near trees in a storm. That's when The Myths of the Cherokees by James Mooney popped into my head. 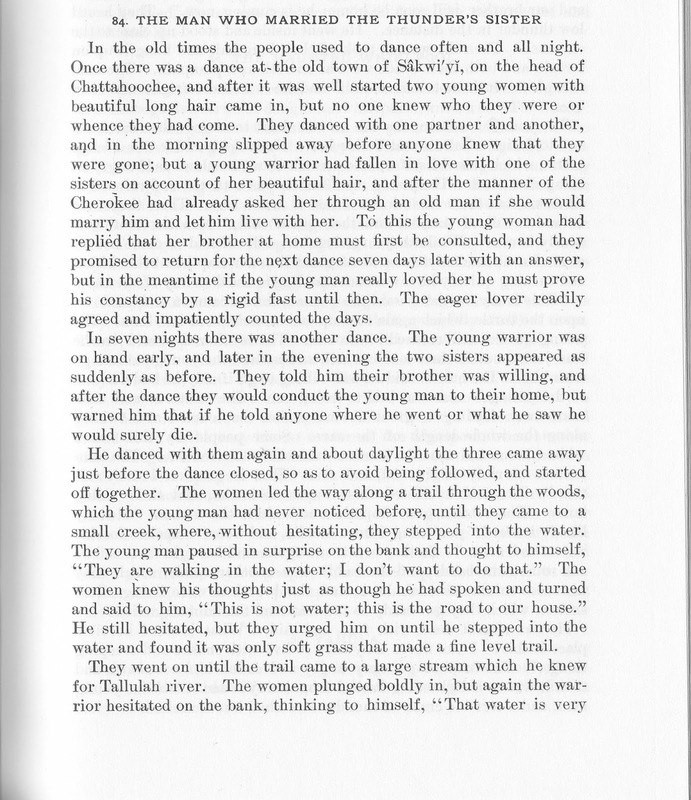 It's a 1906 Bureau of American Ethnology publication for the Smithsonian and here's the search pages for him, some of which are irrelevant, but still worth pursuing. This one about the Ghost Dance includes his biography since that, too, was a major investigation he made for them. Here also is the ubiquitous Wikipedia article about him. 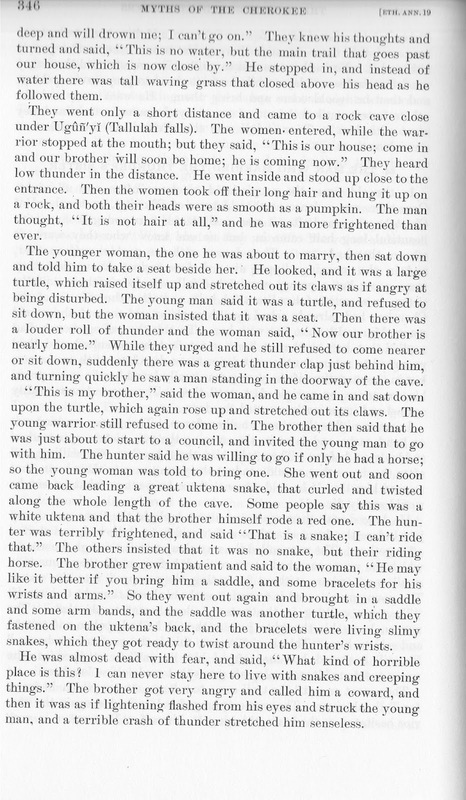 Years ago a storytelling colleague who is part Cherokee said Mooney's accuracy didn't make the elders snicker, unlike most attempts to relay their culture. 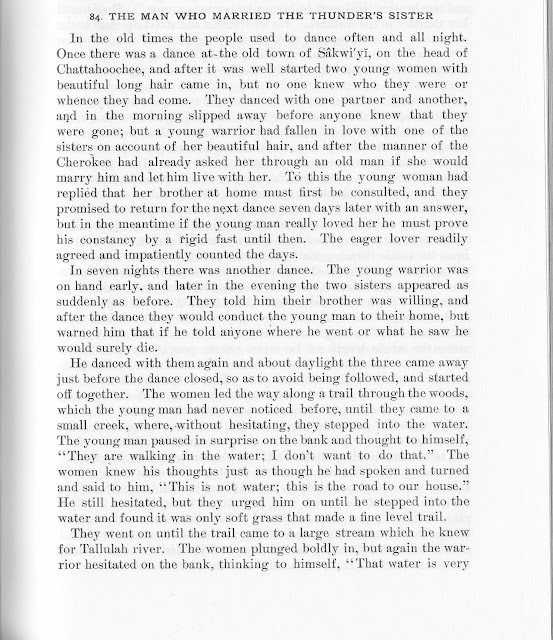 I have found many wonderful stories in Myths of the Cherokees, but today I especially value it because it includes an index. Didn't find the story I had in mind -- it's probably there, but I stopped when I found better stories and a monster worth adding to my spooky stories. The Uktena is a traditional Cherokee creature, a powerful giant horned snake with a magical diamond on its head able to hypnotize its opponents to their doom. Try as I might, I couldn't find the source of the image above, but found many artists add wings even though it's not mentioned. Here's The Legend of Uktena from Mooney as found on Ewebtribe.com's Native American culture pages. I'm no fan of ordinary venomous snakes, but the images you'll find if you Google Uktena images show its legend has inspired many artists, from the rock art Uktena at the start of today's blog to modern times. Gutenberg's online Mooney includes the original illustrations, but I notice there is none for the Uktena. The Uktena lurks in this story, just as today's storm waited to strike. 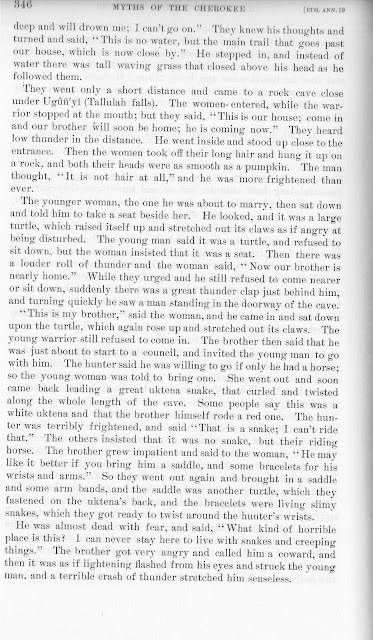 Fortunately the Cherokee were able to retell the story, since they didn't go to the cave of the Thunder People, without dying. About my own story, I said my own timing is awful, but I'll add that God's timing is perfect. We just got into the truck when the storm erupted with a fury worthy of the Uktena. We drove away in a storm barely permitting extra fast windshield wipers to reveal the flooding road home.